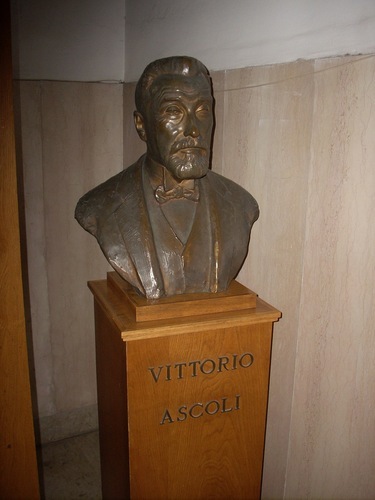 This bronze bust of Vittorio Ascoli can be found in a small hallway leading to the beautiful entrance hall of the "Clinica medica" building of the Policlinico Umberto I in Rome (Viale del Policlinico, 155). 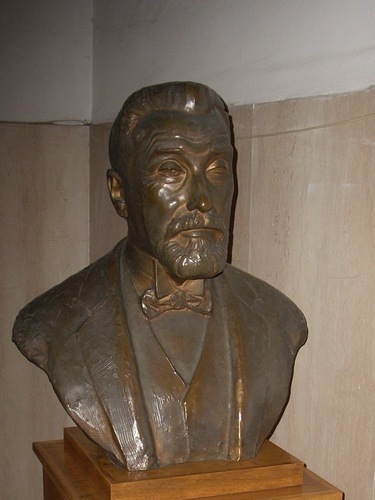 The bust is placed on a wooden pedestal bearing the name of the physician. In the same room there are also the busts of Luigi Condorelli, Cesare Frugoni and Aldo Turchetti.